From shipment of a single vial for specialist 3PL / named patient supply to larger scale shipments of temperature sensitive drug products, we have a full range of solutions to ensure your valuable drug product is delivered in optimum condition. We’ve customised a range of high quality, tailor-made, pre-qualified insulated shipping solutions. Utilising frozen and chilled cool packs or dry ice, our shipping solutions ensure thermal stability for either 72 or 96 hours. Working with our clients, we also design and validate bespoke shipping configurations to specifically meet the temperature requirements of the drug product. 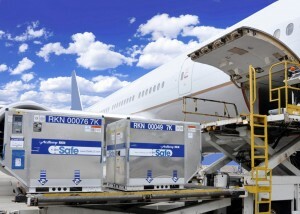 For more challenging transit routes, we can source shipping solutions direct from the manufacturer and routinely work with vacuum insulated shipping systems and phase change coolants to ensure the integrity of your valuable drug product. In addition to insulated passive shippers, to secure the safety and integrity of your drug product, we regularly use active shipping solutions such as Envirotainers and Temperature Controlled Vehicles. Through our approved distribution partners and utilising airlines with dedicated pharmaceutical service offerings, we can successfully manage the global distribution of your product whilst maintaining the specific temperature requirements. Offering temperature controlled shipments with defined temperature set points, alarm limits and real time monitoring of the shipment through GPS and temperature monitoring software – ensures your product reaches the patient in optimum condition.